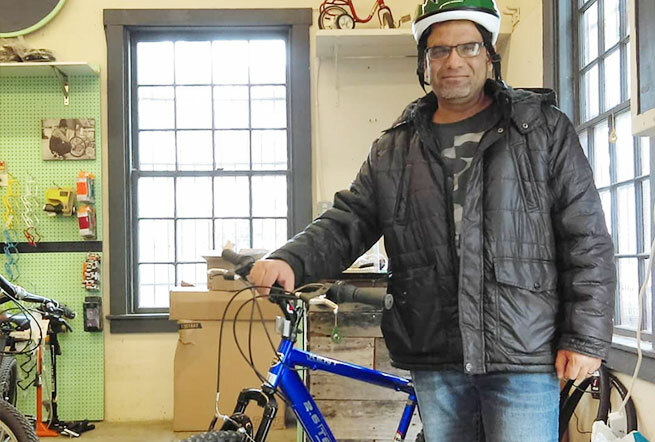 Through our Bikes for All program we help our underserved neighbors, like refugees or low income individuals, get access to affordable, practical transportation. Our Bikes for All partner organizations work to identify community members in need of transportation, providing them with a voucher that they can redeem for a refurbished bike. Along with a set of wheels, clients also receive a helmet, lock, and light set, all at a dramatically reduced price. Furthermore, clients can receive accessories, parts, or repair services at a reduced cost during designated hours. Bikes for All takes place every second Monday of each month from 1-5 PM. Volunteering at TCW was a way for Velarmino to be around something familiar, and to improve his English skills. Turns out we were the lucky ones, as Velarmino taught us more than we would know. Low income individuals gain a safe and reliable mode of transportation. In addition to the bicycle, Bikes for All clients receive a helmet, lock, and light set. 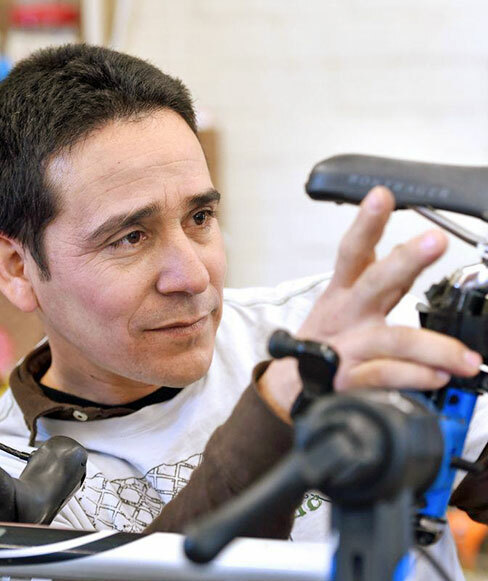 More lives transformed through the power of bikes!